Non-spccific ulceration can result from trauma or unidentified causcs as in recurrent aphthae. Aetiology Unknown in most cases. Many reported immunological abnormalities, but their aetiological significance is doubtful. This is not an autoimmune disease—it affects otherwise healthy persons, and is not associated with recognized autoimmune diseases. There are no useful immunological diagnostic tests and there is no reliable response to immunosuppressive treatment. In 5-10% of cases, ulcers arc precipitated by deficiency of, and respond to administration of, folate, vitamin B12 or occasionally iron. From 10% to 20% of the population are affected in some degree. Typically ulceration starts mildly in childhood or adolescencc, often peaks in early adult life and then gradually declines. Rare onset late in life is usually associated with a haematinic deficiency state. Major aphthae, aphtha-like ulccrs or ragged necrotizing mucosal ulcers are sometimes a feature of HIV infection. In ulcers associated with HIV infection, cytomegalovirus may be found, but it may be a passenger virus. 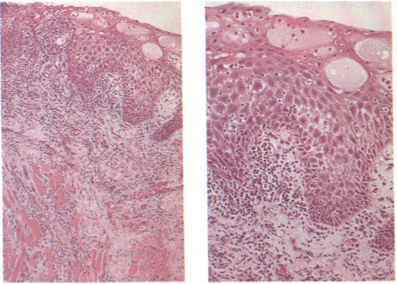 Microscopy Ulceration appears to be preceded by leucocytic infiltration of the epithelium and underlying corium and intercellular oedema leading to disintegration of the epithelium (Fig. 138). 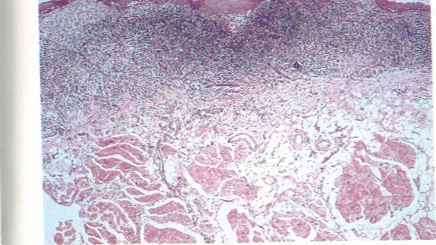 Ulccrs have no specific features but consist of a break in the epithelium with an intense inflammatory infiltrate extending deeply (Fig. 139). Diagnosis therefore depends largely on the history of regular recurrences and clinical features. fig. 139 Aphtha: centre of ulcer. Aetiology Unknown. The condition is possibly immunologically mediated but it typically affects otherwise healthy persons and is not associated with other such diseases. In a minority it results lrom drug treatment (gold, antimalarials, methyldopa, etc.). 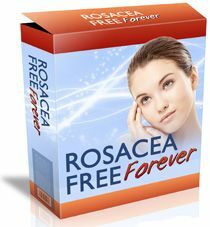 It is most common after the age of 45 and about 65% of cases are in females. The most frequent clinical manifestation is a lacy pattern of xvhite striae on the buccal mucosa, typically symmetrically. Other sites include the margins and dorsum of the tongue or, infrequently, the gingivae (usually atrophic areas, rarely striae). Atrophic lesions are red and smooth. Erosions typically have depressed margins and are covered by a raised layer of yellowish fibrin. White plaques mainly result from longstanding disease. Cutaneous lichen planus is frequently not associated. Microscopy Oral lesions are of three types, often all associated. Striae (white lesions). Hyper-or parakeratosis is associated with pointed, sometimes saw-tooth rete ridges, liquefaction degeneration of the basal cell layer and a band-like mononuclear (predominantly T lymphocyte) infiltrate with a well-defined lower border in the corium (Figs 140 & 141). These 'classical' changes are not often all found together. Atrophic (red) lesions. 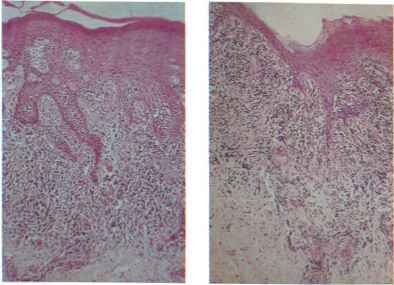 The epithelium is thin and flattened without keratosis. The inflammatory infiltrate is more dense but still band-like (Fig. 142). Erosions. 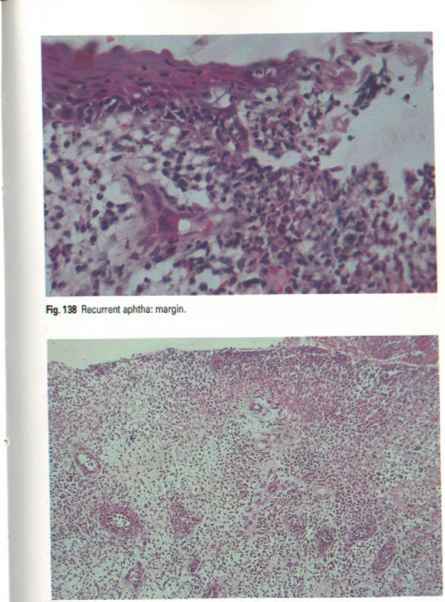 The epithelium is destroyed by progression of atrophy (not by rupture of bullae). 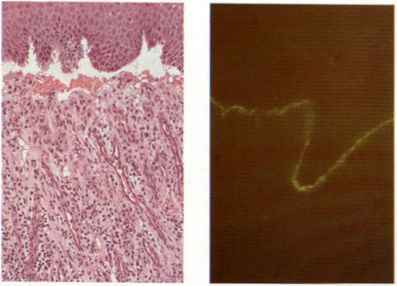 Secondary infection increases the inflammatory response and produces a nonspecific picture apart from any changes of lichen planus at the margins. Treatment and Lichen planus, though usually a self-limiting disease, can prognosis persist for many years if untreated. Frequently, there is a good response to topical corticosteroids: systemic corticosteroids are usually effective if topical treatment fails. The risk of malignant change may be approximately 1% over a 10-year period for specific sites. Fig. 140 Lichen planus. Fig. 141 Lichen planus: detail of liquefaction degeneration of basal cells. Fig. 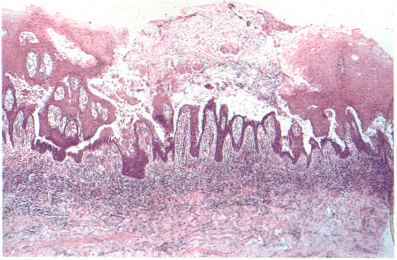 142 Lichen planus: atrophic type. (especially long-acting sulphonamidcs) or herpetic or mycoplasmal infection (primary atypical pneumonia). However, no triggering factor is identifiable in most cases. No immunological mechanism has been identified. The disease typically affects young adults and tends to recur 2 or 3 times a year and then spontaneously resolves after a time. Pathology This is a mucocutaneous vesiculobullous disease but orolabial lesions alone are common. Rarely, recently ruptured bullae are seen on the lips but not in the mouth. Clinically, swollen, bleeding and crusted lips arc a typical feature. Oral ulceration is often widespread but ill-defined and nondescript in character. Target lesions or bullae affect the skin, and conjunctivitis or iritis may be associated. In severe cases (Stevens-Johnson syndrome) there is skin, mucosal and multisystem disease with malaise and fever. Rarely, blindness or, exceptionally rarely, death may result. 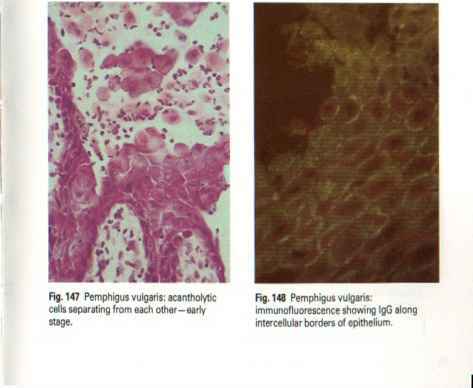 Microscopy Variable picture with degeneration of spinous cells and widespread intercellular oedema, sometimes leading to intra-epithelial vesiculation or extensive vacuolar change leading to subepithelial vesiculation (Figs 143 & 144). Rupture of vesicles leaves erosions. There is a mononuclear inflammatory infiltrate subcpithclially and around superficial blood vessels (Fig. 145). Fig. 143 Bullous erythema multiforme, early Fig 144 Erythema multiforme: higher power, stage. Rg. 145 Erythema multiforme: perivascular inflammatory infiltrate. Aetiology and A 'typical' autoimmune disease with circulating pathology autoantibodies against epithelial intercellular cement substance, which can be demonstrated in situ by immunofluorescence. Destruction of intercellular adherence leads to disintegration of epithclia and intraepithelial vesiculation, often first in the mouth. Clinically, women arc more frequently affectcd, usually between the ages of 40 and 50, sometimes with oral lesions as the first sign. Vesicles are fragile, rarely seen intact in the mouth, but they typically leave small, painful irregular erosions. Occasionally, vesicles are produced by stroking the mucosa (Nikolsky's sign). Bullae are obvious on skin and can spread over the whole body. Rupture leaves crusted lesions; fluid and electrolyte loss or infection may be fatal if untreated. Immunosuppressive treatment is usually life-saving but heavy doses of, for example, prednisolone plus azathioprine are needed. (acantholysis) initially forming suprabasal clefts then intra-cpithelial vesicles. Basal cells adhere to one another and to underlying connective tissue to form the floor of vesicles but they eventually separate after rupture of vesicles (Fig. 146) to leave ulcers with inflammatory infiltrate in the floor. Prickle cells after acantholysis become rounded, float off in vesicle fluid (Fig. 147) and arc seen in smears (Tzanck cells). There is positive immunofluorescence of immunoglobulin (usually IgG) along intercellular junctions and coaling detached acantholylic cells. Diagnosis Absolute confirmation of the diagnosis is possible by immunofluorescence of immunoglobulin (Fig. 148), but histology- is frequently adequate. fig. 146 Pemphigus vulgaris: recentty ruptured vesicle. Aetiology and There is some evidence for immunopathogenesis with pathology formation of antibodies against the basement membrane zone (BMZ). Women arc mainly affected between the ages of 50-70 years. 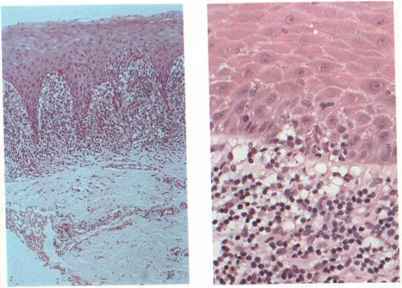 Bullae and vesicles result from loss of attachment of epithelium to the underlying connective tissue. Bullae result from minor trauma; Nikolsk/s sign may be positive; ruptured vesicles leave indolent erosions; lesions on gingivae may be called 'desquamative gingivitis'. Scarring (and damage to sight) is common in the ocular variant but rare in the mouth. Autoantibodies to basement membrane zone material (anti-BMZ ab) arc not routinely detectable in serum: immunofluorescence to immunoglobulins along the BMZ is seen in about 40% but the complement component (C,) is seen in about 80%. There is a poor correlation between anti-BMZ ab litres and the severity of the disease as assessed by routine methods. 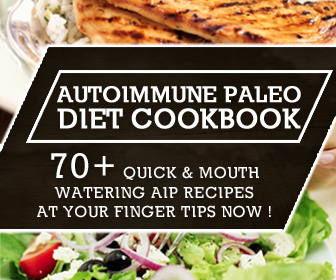 There is no recognized association with other more typical autoimmune diseases. 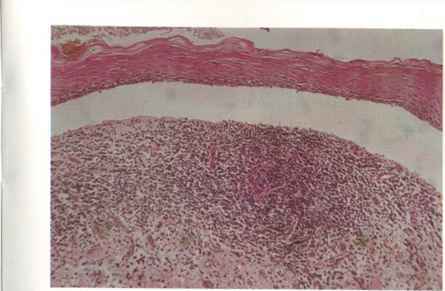 Microscopy • Subepidermal bulla separating full thickness of epithelium from lamina propria. 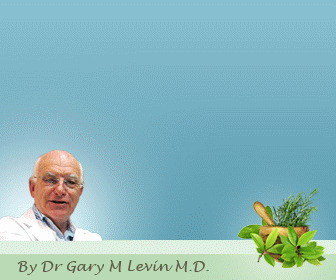 • Mixed, chronic inflammatorv infiltrate in lamina propria (Figs 149 & 150). Electron microscopy shows the level of separation of the epithelium to be along the lamina lucida (between the plasma membrane of the basal cells and the electron dense basal lamina). Immunoglobulin or complement may be detectable along the basement membrane by immunofluorescence (Fig. 151). Treatment There is often a good response to topical corticosteroids. Systemic corticosteroids arc indicated for extensive disease, especially if it involves the eves. fig. 149 Mucous membrane pemphigod. fig. 151 Mucous membrane pemphigoid: immunofluorescence of complement (C3) along basement membrane zone. Aetiology and Either systemic or discoid lupus erythematosus (SLE or pathology DLE) can cause oral lesions. SLE is a connective tissue disease (autoimmune), thought to be immune-complex mediated, with multiple non-organ-specific autoantibodies, particularly antinuclcar factors and often rheumatoid factor. Common effects are rashes and arthritis but almost any system can be involved and Sjogren's syndrome is present in about 30% of cases. DLE is mucocutaneous with lesions appearing the same as those of SLE, but minimal systemic effects or autoantibody production. Women aged 20-40 years arc mainly affected. Oral lesions consist of streaky white or erythematous areas, or erosions frequently similar to those of lichen planus. 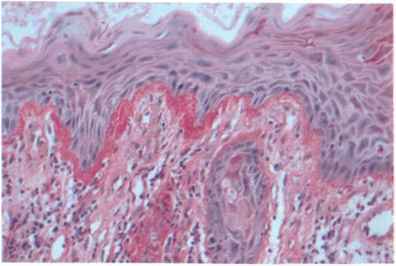 Microscopy Highly variable picture with wildly irregular patterns of acanthosis or epithelial atrophy, liquefaction degeneration of the basal cell layer and widely scattered inflammatory infiltrate in the coriura (Figs 152 & 153). Thickening of the basement membrane zone is shown by PAS staining (Fig. 154). Immunoglobulin and complement are also detectable there by immunofluorescence. Diagnosis of SLE should be confirmed by autoantibody studies, which differentiate it from DLE. Treatment Lesions often respond poorly to topical corticosteroids, but systemic corticosteroids are justifiable for extensive SLE. Rg. 152 Lupus erythematosus. fig. 153 Lupus erythematosus: adjacent epithelial atrophy and acanthosis.